It’s true that small bathrooms can be a challenging design project, especially if you have a family. However, that doesn’t mean that you cannot make the most of the space you have, and still create something beautiful, relaxing and functional. 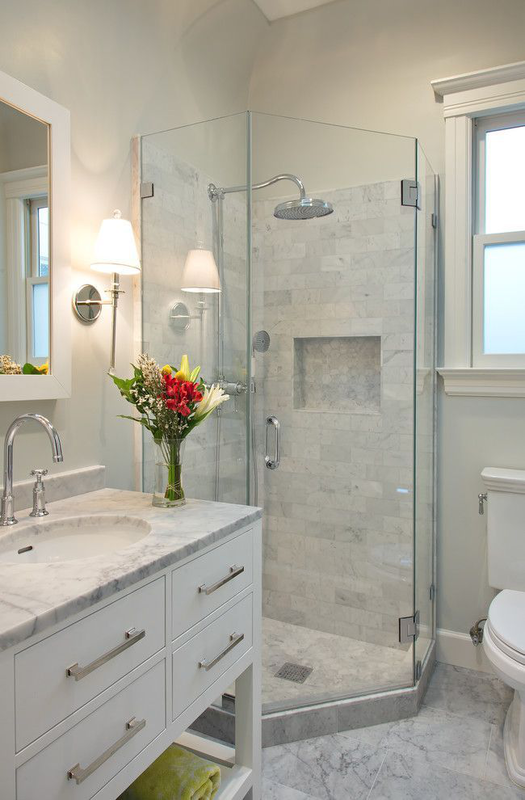 There are various tips and tricks that can make designing a small bathroom a truly rewarding process with satisfying results. If you too are struggling to find the best possible solution for your bath, check out the following possibilities. 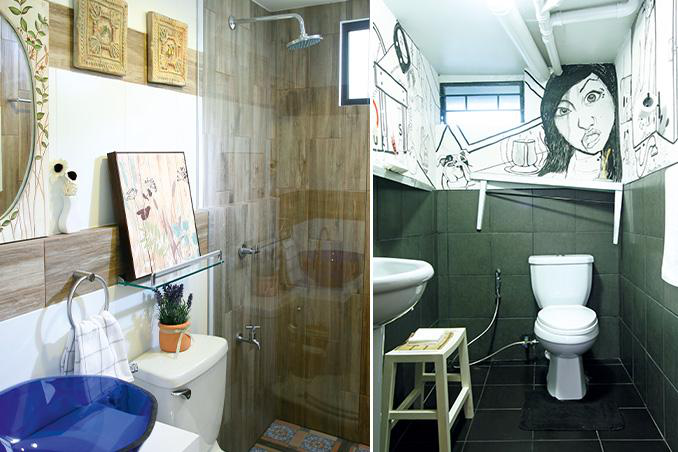 Usually, storage is the biggest issue when it comes to small bathrooms, but you can approach this task creatively. In the end, if you don’t have enough storage space such as cabinets, don’t feel the need to stuff your bathroom with more cabinets. If the space is small, this won’t look or feel good. Instead, you may utilize vertical space by installing floating shelves. Open shelving looks infinitely better in small bathrooms, and it allows you to grab whatever you need instantly. This is especially important for families with kids. What’s more, colorful towels or bath products can add a personal touch to the overall bathroom design. If you have a bit more space though, you can use storage ladders instead of shelves, or stack wooden/woven crates for an affordable cabinet alternative. Functionality and order are two most important features of a small bathroom if your goal is to make it feel pleasant and relaxing. Basically, everything in your bathroom should have its purpose so declutter and remove things that simply make a mess with no real use. Once you do that, it’s important that you create order in your bathroom. You should have a designated place for everything. For example, cleaning agents can be under the sink – if you don’t have a built-in cabinet already, you can use a crate, or any other type of container that fits the purpose. You can use a sink curtain to block these cleaning agents from view as well. Another example are your bath and beauty products. Instead of having everything in a total mess, you can get an angle suction cup shelf that will help you divide your shower products from hair ones, etc. If this is not possible, even a hanging door rack can be useful for this purpose. Just make sure that you keep only the necessities, and know where they are at all times. When you’re redesigning any room, you should determine a focal point and continue the process from that point. The same goes for your bathroom. Even if your bathroom space is small, you can benefit a lot from a nice bathtub when it comes to both functionality and looks. After all, there are plenty of small and stylish bathtubs available on the market today. What’s more, having a bathtub is very important for families with kids, as the tub allows you to have more control over the kids as you’re giving them a bath, or have to reach for something from the previously-mentioned open shelves. Once you deal with the choice of tub, the rest of design will be easier to plan out as functionally and beautifully as possible. 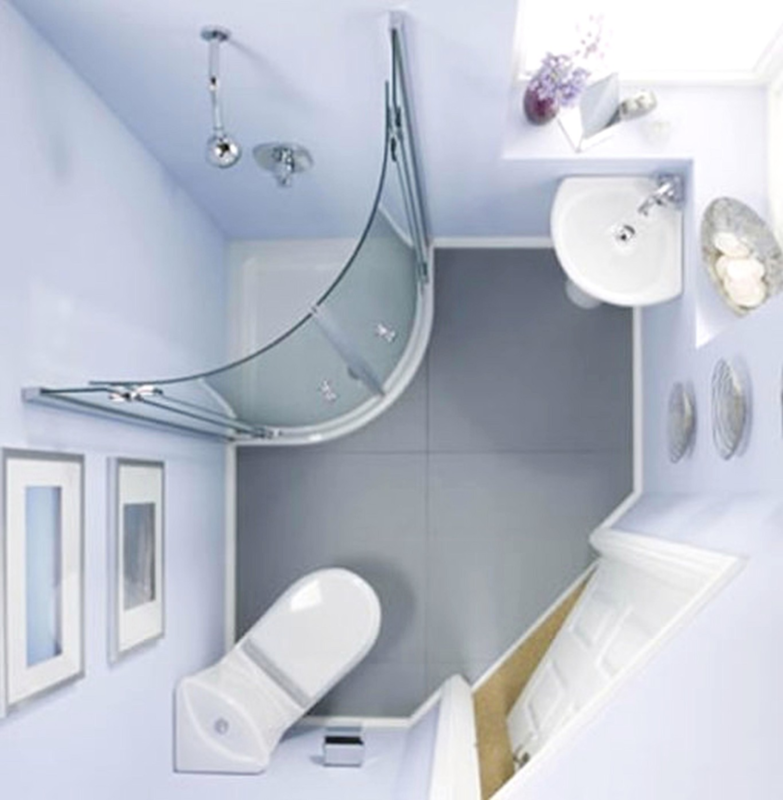 Your choice of colors and other accessories can affect the size of your bathroom visually. 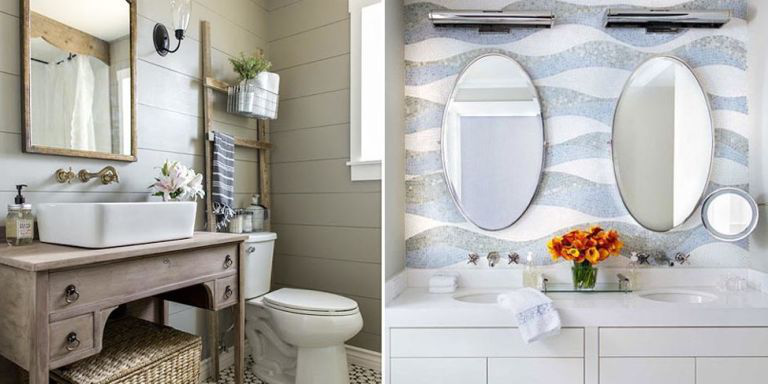 So, why not make your small bathroom visually larger and definitely more appealing? In general, keeping the main palette theme in your bath clean and neutral is the best choice. White and other neutral shades are perfect, but you can always add a pop of color. You can do this with bathroom floor tiles if you’re up for a more striking look, or other details such as towels, shelves and hanging racks, curtains, mirror frames, etc. Speaking of mirrors, don’t hesitate to use one that’s as large as it can be for your small bathroom. It will reflect the light, making the space appear bigger. The same thing happens with glossy finish tiles, so if you’re planning to add retiling to the design process, keep this in mind. Just because your bathroom is small in size doesn’t mean that you should automatically give up on making it as practical and pleasant as it can be for you and your family. The important thing is to work with what you have in order to create the best version of that space. As it’s one of the most important rooms in one’s house, don’t hesitate to put some effort into making your bathroom suitable and comfy.